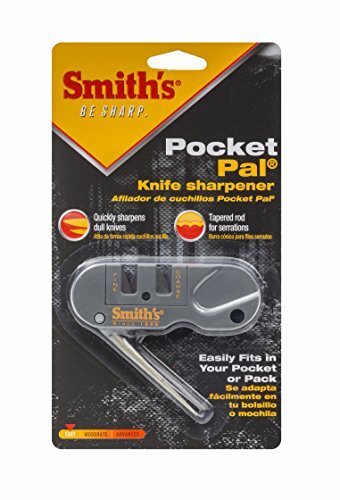 Smith’s “Pocket Pal” Multi-Functional Knife Sharpener features pre-set crossed carbides and ceramic stones, which provide the “Perfect Edge” every time. Carbides provide quick edge setting, and the specially shaped ceramic stones are designed to give you a razor sharp edge on either standard or serrated edges. 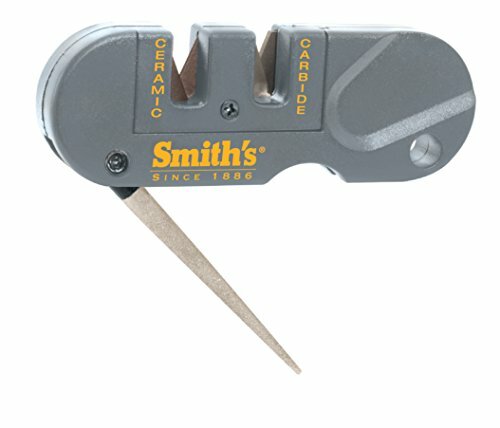 A fold out, tapered round, diamond coated rod is designed for sharpening serrations and small gut hooks. Unit is compact, lightweight, durable, and comes with a lanyard hole.